A sweet and compelling romance with just enough mystery to keep you reading past your bedtime. The story takes you between 1912 Paris and a 1700s Scottish castle, Castle Donnach. After her uncle’s murder, the young heroine must flee Paris due to attempts on her life that tie to a tragic tale in her family’s Scottish past. A dark stranger attempts to save her life and, in the process, may be endangering his own. Is he what she hopes him to be–or death in a very attractive package? Elusive was an entry in the 2010 San Francisco Book Festival. While generally not my kind of genre (I like epic fantasy) I was recommended this book by a friend and decided to give it a go; how surprised I was when I was hooked after the first chapter. 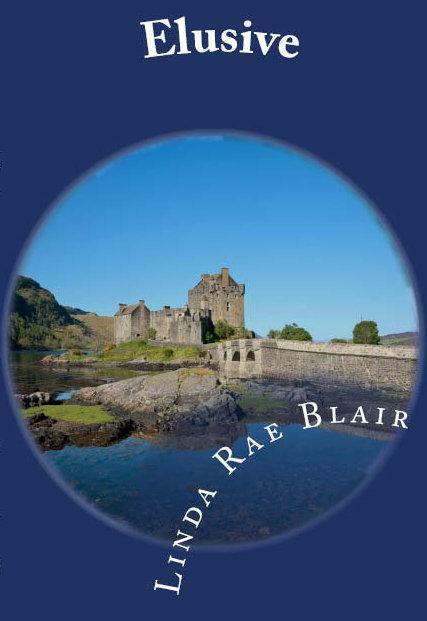 Set in both Scotland and France, Linda Rae Blair displays a great deal of knowledge of the language, history, culture and geography of both places. The two main characters, Blair and Alexandre, both descending from the same ancient lineage are likable and complex and as I delved deeper into the book found myself really rooting for them. Elusive is a historical and modern romance (you’ll have to read it to understand that concept) with a hint of mystery and a lot of intrigue and despite having a sense of how it would end, I found I was more interested in how the author would get me there. The descriptions are vivid and give a good sense of the surroundings and locations without being overbearing and too arduous and long.